The Kettler cup holder is a practical training accessory for any home fitness equipment, which is not equipped with a cup holder. 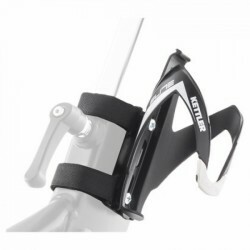 The high-quality ELITE cup holder is suitable for all cycling-typical bottles and is variably mounted on the respective machine by means of a non-slip hook-and-loop fastener. You have your bottle ready at hand with the Kettler cup holder do not have to interrupt your training in order to drink something.